If you’re looking for a light, natural finish for your wooden floors which evokes warmth and opens up space, you’ve found it! Our oiling for wood flooring gives any wood floor a gentle yet durable veneer that completely transforms how your room looks. Suitable for both private residences and business locations, our oiling service enhances with limited disturbance to day-to-day activity and creates a safe, chemical-free environment with long-lasting health benefits. 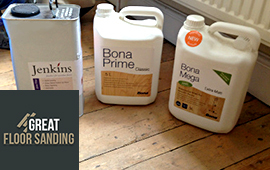 What Our London Floor Oiling Services Are All About? Excellence and presentation – that’s what we believe in! The main goal when it comes to oiling wood flooring is not just providing protection, but enhancing your wooden floor’s appeal. Oiling has become the newest all-natural finishing service, which achieves a phenomenal, classic look that creates a sense of tradition and elegance. The oils we use to bring out the best, whether it’s a burnished warm hue or the lighter blonde colors. What we promise are efficiency and high quality. The proper application of the oils takes a significant amount of experience, a highly developed skill set and the best ingredients on the market. What we do is preserve the wood material, disguise any flaws that might otherwise need sanding and provide multiple health benefits in the long-term, as all oils used are lead-free. What Will You Gain from The Floor Oiling Efforts? No-obligation On-Site Inspection: The best way to learn how to bring out the best from your wood floors is to inspect the property. Whether you’re considering renovation or just curious to see how you can alter your floors’ appearance, the teams are ready to assess the situation! Eye for Design: Upon inspection, you receive detailed information regarding the possible staining color combinations suitable for your property. Flaw Concealment: Expertly applied oil finishes mark common flaws which otherwise require sanding as the only treatment. Improved Health: You can be sure you’ll be living and working in a healthier space as the finish we provide is free of all harmful chemicals. How You Can Book a Service Right Now! Do you want to professionally oil your floors? Are you situated in London or in the Greater London area? Go ahead and dial 020 3404 9697 to reach our experienced support staff, who is there to help you in any way possible. Our lines remain fully operational from Monday to Sunday, including all those bank and national holidays every year. You can ask us anything – from pricing models to no-obligation on-site quotes and scheduling, we’re here to aid you!